Whether you live in the Bay Area or are a visitor, you absolutely must go on a city tour of San Francisco and visit all the famous landmarks in one of our city tour buses. 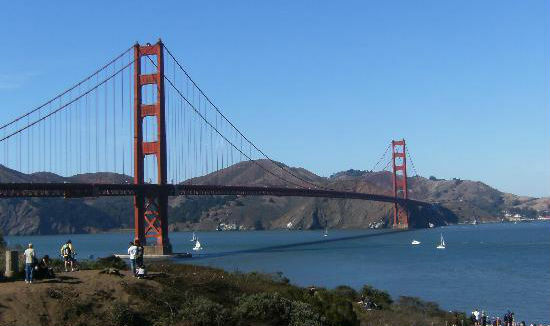 San Francisco is the heart of cultural and ethnic diversity, history, and many famous attractions and landmarks. It is the one of the most visited cities in the world. Best sure to have your camera on hand as there will be plenty of postcard-like photos to capture during the tour. These are just a few of the sights to take in during the tour. You can customize your trip and itinerary to include on the attractions you want to visit. Our professional drivers will be happy to take you where ever you want to go, or even make suggestions if you don't have an itinerary planned out. Don't miss out on this wonderful opportunity to explore the beautiful city of San Francisco. Call us today at 415-504-3433 or fill out the FREE quote form. Our staff will be in touch with you shortly.